Play Tent Princess Castle Just $16.39! Down From $40! You are here: Home / Great Deals / Amazon Deals / Play Tent Princess Castle Just $16.39! Down From $40! Score this Play Tent Princess Castle at Amazon for just $16.39 down from $39.99 PLUS FREE shipping with Amazon Prime or for orders $25 and above! Calling all kings and queens! Everyone wants to be a princess. 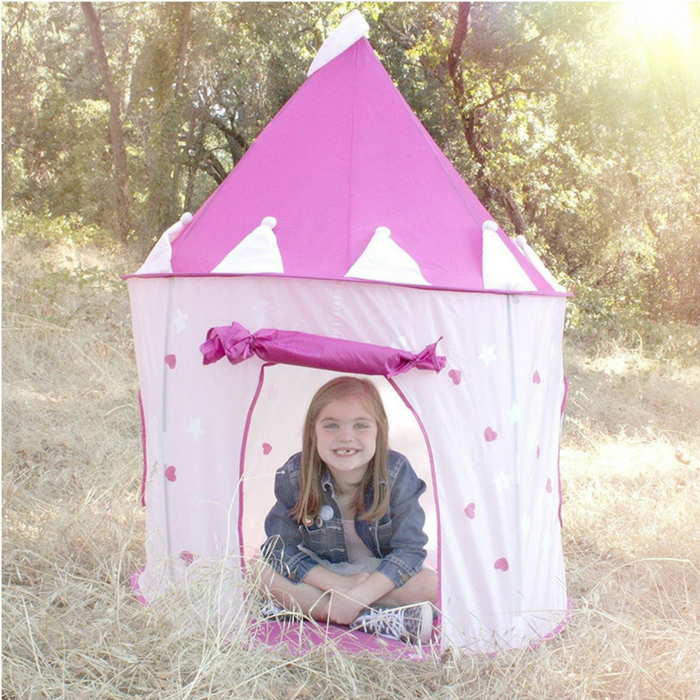 Now with the Play Tent Princess Castle by Pockos, your child can be royalty! This Princess Castle is easy to set up and take down and comes with its own convenient carrying case for outdoor or indoor play. Your child will enjoy hours of imaginative play: Perfect for princesses, knights, dragons, and fairies! The fun continues when the lights go out and the glow in the dark stars of the Princess Castle light up! Perfect for slumber parties and any pink princess bedroom ensemble! The Princess Castle is held up by sturdy fiberglass rods that support the tent without worry of collapse.